After 42 years of ruling Libya with an iron fist, Moammar Gadhafi and his forces are close to being overthrown fully by opposing forces right in the middle of Tripoli square. 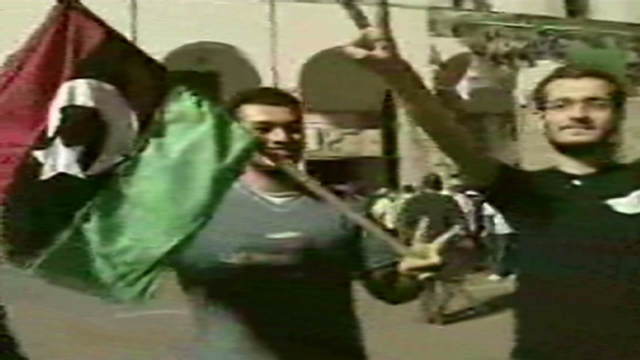 Early Monday morning, opposition forces were celebrating as they had gained control of a center point in Tripoli, but sources said that Gadhafi’s forces were plotting to come to Tripoli’s Green Square. Other news surrounding the conflict in Libya is that Saif al-Islam and Saadi Gadhafi have been arrested by Gadhafi’s opposition. Said al-Islam is said to be sent to the Netherlands soon to be prosecuted for “crimes against humanity” by the International Criminal Court. Gadhafi is calling for Libyans to go out and fight against the rebels. All in all, too much bloodshed has already been caused in Libya. By the hands of Moammar Gadhafi, too many Libyans have been killed. The reign of the evil ruler must come to an end as fast as humanly possible for the benefit of a state on the brick of destruction.